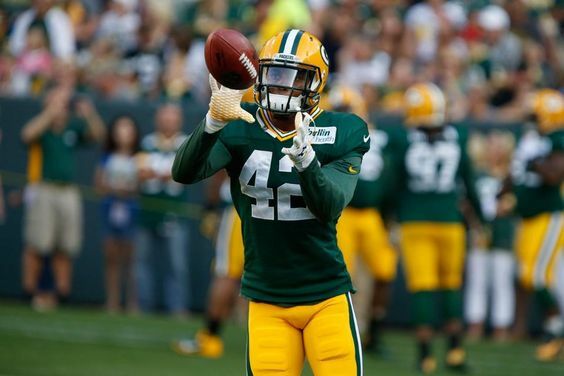 The Cleveland Browns have come to an agreement with veteran safety Morgan Burnett. ESPN is reporting the deal with the former Green Bay Packers safety is for two years. Burnett will reportedly compete with recently acquired Eric Murray to fill a need at safety after trading Jabrill Peppers to the Giants in the Odell Beckham Jr. deal. Burnett became a free agent when the Pittsburgh Steelers released him Monday. The Steelers signed Burnett a year ago to a three-year, $14.25 million contract that included a $4.25 million signing bonus. 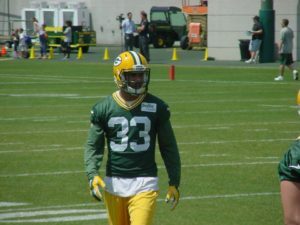 Burnett previously played eight seasons with the Packers. He started all 102 games he played in for Green Bay, collecting nine interceptions, 44 passes defensed, 7.5 sacks and 717 tackles. 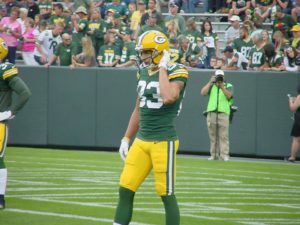 The NFL released preseason schedules on Wednesday and the Green Bay Packers will have a chance to face former teammates Jordy Nelson and Morgan Burnett. 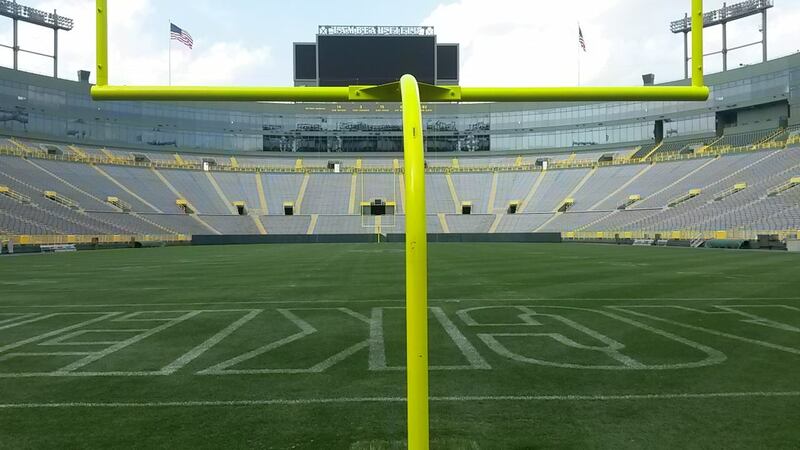 The Packers first two exhibition games will be home games. 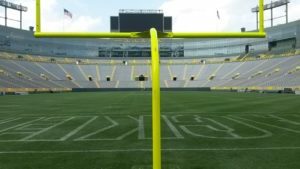 They’ll open against the Tennessee Titans sometime between Aug. 9-13 and then they’ll face the Pittsburgh Steelers at Lambeau Field from Aug. 16-20. The Steelers game will feature the return of former Packers safety Morgan Burnett, who signed a free agent deal with the Steelers last month. The Packers will then close with preseason road games at Oakland and Kansas City. The trip to Oakland will feature Jordy Nelson squaring off against his former team. Nelson signed with the Raiders shortly after his release in Green Bay. None of the Packers preseason games are scheduled for national television. The Packers 2018 regular-season schedule is expected to be out sometime next week. They will not play any of their exhibition opponents during the regular season. Once the Green Bay Packers saw the asking price for veteran safety Morgan Burnett, they dropped out of the running. 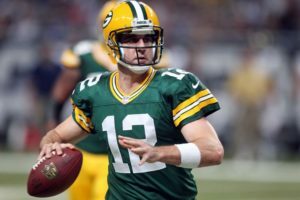 During discussions between the two camps at the NFL Scouting Combine, the Packers found out that Burnett was looking for more than $8.5 million a year. He settled for a three-year deal with the Pittsburgh Steelers for a reported $14.5 million. Burnett was considered a top safety on the market, but the market wasn’t a good one for that position. Instead of resigning Burnett, the Packers will go with younger players, like last years second round draft pick Josh Jones, as well as Kentrell Brice and Marwin Evans. Burnett missed four games last season with hamstring and groin injuries. He hasn’t played a full season since 2012. If Bryan Bulaga didn’t have bad luck, he wouldn’t have any luck at all. The Green Bay Packers starting right tackle suffered a season ending knee injury in Monday night’s loss to the Detroit Lions. Bulaga signed a five-year, $33.75 million contract prior to the 2015 season, but has struggled with injuries ever since. Prior to signing that new deal, Bulaga tore the ACL in his left knee and missed the 2013 season. He had surgery on his left knee to repair cartilage in 2015 and missed three more games. He missed three games this season with an ankle injury, followed by this season ending injury. Justin McCray is the most likely candidate to replace Bulaga moving forward, but McCray suffered an ankle injury on the final play of the Lions game. He was seen limping off the field after the game and McCarthy acknowledged Tuesday that McCray was in the facility on Tuesday for treatment. Packers coach Mike McCarthy also said safety Morgan Burnett will also be unavailable for Sunday’s game against the Chicago Bears. Burnett left Monday’s game with a groin injury in the third quarter and didn’t return. Following Monday night’s 30-17 loss to the Detroit Lions, Green Bay Packers head coach Mike McCarthy was asked about veteran tackle Bryan Bulaga’s right knee injury. While he hadn’t heard about Bulaga’s condition after the game, he did say that the team’s medical staff was very concerned. Fast forward to Tuesday morning and the NFL Network has reported that Bulaga suffered a torn ACL in that right knee and would be out for the rest of the season. Bulaga tore the ACL in his left knee during a training-camp practice in 2013. He underwent a second surgery in 2015 after tearing cartilage in that same left knee. Bulaga missed three games this season with an ankle injury before the knee injury Monday night against the Lions. According to ESPN.com’s Rob Demovsky, the Packers will have had their first offensive line together for a total of 57 snaps, which is less than one-full game. Justin McCray will take over at right tackle for Bulaga for the remainder of the season. Although he’ll have to get healthy himself after limping off the field after the game with an ankle injury. The Packers also saw safety Morgan Burnett leave early with a groin injury in the third quarter. The Green Bay Packers don’t have to release their first official injury report of the week until Thursday. The health of their team has improved slightly in their bye week. The Packers returned to practice on Tuesday and two starters appear ready to return to action. 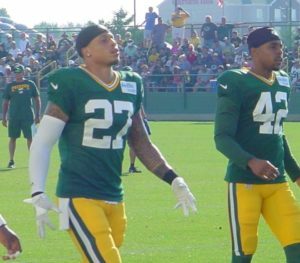 Safety Morgan Burnett (hamstring) and left guard Lane Taylor (ankle) practiced with the team. 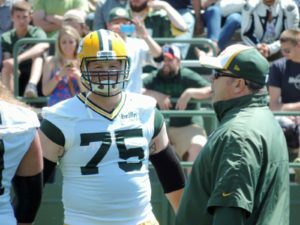 Taylor’s return could give the Packers their entire starting offensive line back for Monday nights game against the Detroit Lions. That would be good as quarterback Brett Hundley makes his second start with the team. The Packers did have a number of defensive players still sidelined by injury. Inside linebacker Joe Thomas (ankle), outside linebacker Nick Perry (unknown), defensive tackle Quinton Dial (chest), safety Kentrell Brice (ankle) and outside linebacker Ahmad Brooks (back) did not practice on Tuesday. 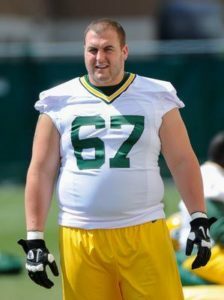 Veteran guard Don Barclay, who was released by the Packers last week, signed Tuesday with the Detroit Lions. Barclay rejoins former Packers guard T.J. Lang, who signed a free agent deal with the Lions in the off-season. Green Bay Packers quarterback Aaron Rodgers will have surgery on his broken right collarbone “in the near future”. That was the message from coach Mike McCarthy on Monday. Minnesota Vikings coach Mike Zimmer said Monday that Anthony Barr’s hit on the Packers quarterback was “above board,” and said the Vikings are not a dirty football team. Mike McCarthy has different thoughts on Barr’s hit. Rodgers was rolling out late in the first quarter. After he released the ball, he was hit by Barr and the Vikings linebacker continued to drive him into the turf. The Green Bay Packers will play Sunday’s divisional matchup at Minnesota without starting safety Morgan Burnett. Burnett suffered a hamstring injury in last week’s win over the Dallas Cowboys and was ruled out on the teams final injury report on Friday. He’s joined by linebacker Joe Thomas, who is dealing with an ankle injury. The Packers are expected to turn to Kentrell Brice and rookie Josh Jones to take Burnett’s place in Dom Capers defense. Ha Ha Clinton-Dix will take over the communication helmet normally worn by Burnett. It is also possible the Packers could be without rookie corner Kevin King (concussion). Veteran Davon House is also listed as questionable with the quadriceps injury that has seen him miss two games already this season. King and linebacker Ahmad Brooks (back) are both listed as doubtful for Sunday’s game. The Vikings will be without their top receiver Stefon Diggs (groin), quarterback Sam Bradford (knee) and starting guard Nick Easton (calf). 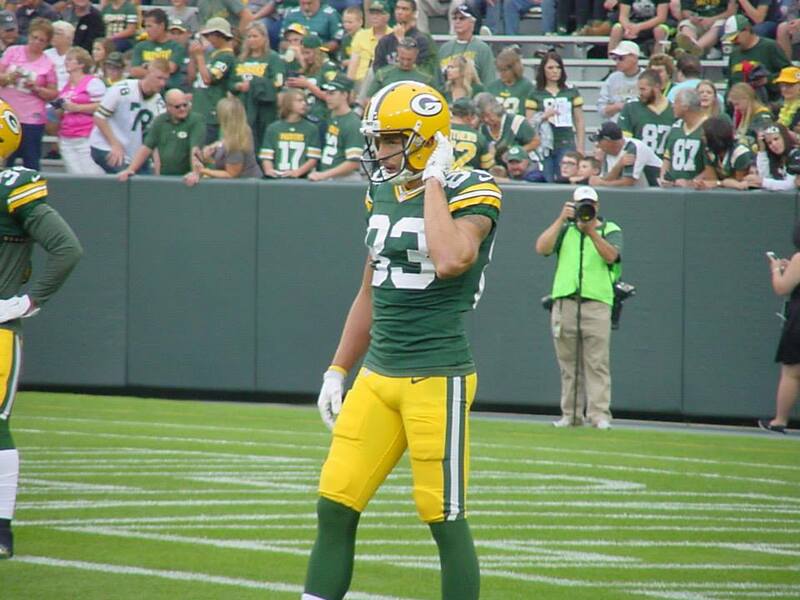 Micah Hyde had one interception after moving to cover corner last Sunday. The Green Bay Packers are hoping for better luck with their secondary this week as they open the NFC’s Wildcard playoffs on Sunday afternoon (3:40 p.m.) at Lambeau Field. Cornerback Quinten Rollins, who left the Lions game on a stretcher, was placed in the teams concussion protocol as he recovers from head and neck injuries. Damarious Randall, who suffered a knee injury on Sunday night, practiced on Wednesday. It would appear that Randall will play on Sunday. The Green Bay Packers have released a total of six players so far, as they continue to get down to the NFL mandated 75 player roster limit by 3 p.m. on Tuesday. Along with punter Peter Mortell, the Packers also released DT Demetris Anderson, CB Randall Jette, WR Jamel Johnson, WR Ed Williams and LB Derrick Mathews. The Packers are back on the practice field this afternoon, the first of two final open to the public sessions before the official close of training camp. 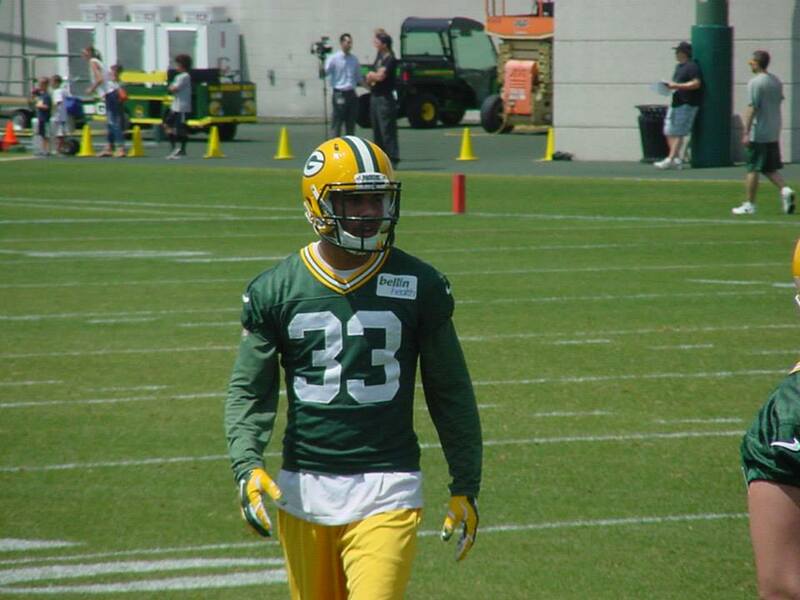 Wide receiver Jeff Janis, who fractured a bone in his right hand back on August 10, is practicing for the first time. He has a large club cast on that hand. In other injury related news, Morgan Burnett has returned from a back injury. He’s been sidelined since August 12. But first round draft pick Kenny Clark, who missed last week’s game at San Francisco, remains out with back issues. Backup quarterback Brett Hundley has also returned to practice today after re-aggravating an ankle injury a couple of weeks ago. It’s unknown if he’ll try to play this week against Kansas City.